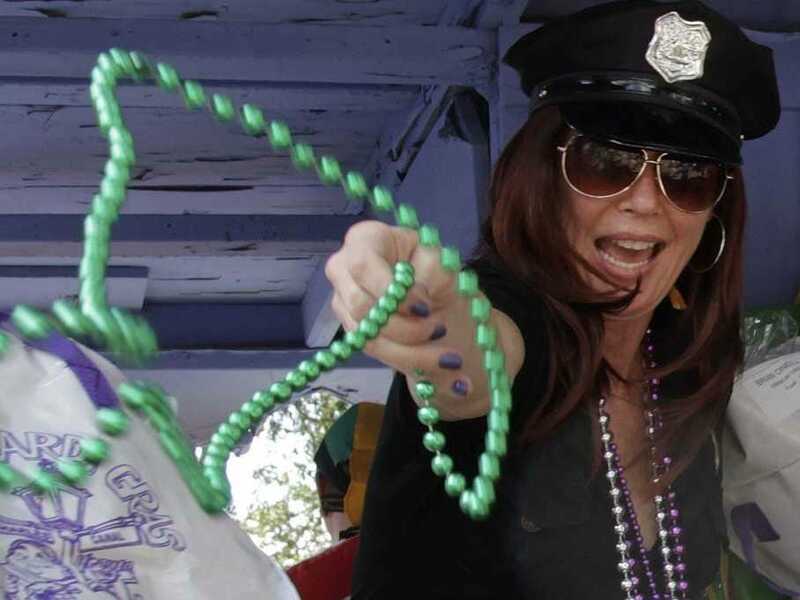 ?AP Photo/Bill HaberA partier throws beads to the crowd during a Mardi Gras parade. With New Orleans in full celebration mode for Mardi Gras, the nonstop party that started as a purging of hedonistic behavior before the Christian season of Lent, it's a good time to celebrate the small businesses that have helped the Big Easy rebound. The city's economy took a big hit after Hurricane Katrina devastated the cityscape in 2005, but it has since rebuilt and reinvented itself. Whether it's an established restaurant or a budding tech startup, here are some of New Orlean's coolest small businesses. Why it's cool: AdverCar matches brands with regular drivers who are looking to make some extra cash. The brand pays a driver to put a decal on their car. When that person drives through different neighborhoods and regions, the brand is then broadcast to the area in a subtle yet effective way. It is part of New Orleans Startup Fund's portfolio. Why it's cool: Besides being America's first museum devoted to World War II, this venue features restaurants and bars that are all 1940s themed. Everything from the seating to the cocktails to the styles of the performers oozes 1940s glamour. There are even live musical performances by Big Band orchestras and tributes to 1940s icons like The Rat Pack. The restaurant, the American Sector, serves dishes that put a creative spin on traditional American food, like mini cheeseburgers with bacon-onion marmalade and Wagyu short ribs. Why it's cool: This is a luxury hotel that has a ton of green initiatives. It recycles all cardboard, paper, plastic, and aluminum products. About 90% of the hotel's lighting is energy efficient, and it has a grease recycling program. Why it's cool: Two sisters, Bettye Barrios and Anne Barrios Gauthier, decided to open this quaint shop after traveling through the French and English countryside. Every product sold here was hand-picked by the store's owners from flea markets, shops, and ateliers in France and England. Why it's cool: This is New Orleans' first store to exclusively sell sustainable clothing made from eco-friendly materials. It also sells hand selected vintage pieces and goods made by local designers. Apart from selling clothing, the boutique is also committed to promoting a series of socially conscious sustainable initiatives. Its website highlights the latest sustainable events being put together by local farmers and other small New Orleans businesses. Why it's cool: Located in a 150-year-old Victorian-era townhouse in the French Quarter, this café opened in 2005 and was named after Amelie Miltonberger, the mother of the first American Princess of Monaco. Café Amelie serves creative Louisiana fare, like chicken and andouille gumbo, or shrimp and corn maque choux penne. Diners can choose to eat in the romantic courtyard or in one of the historic dining rooms. Why it's cool: Three New Orleans natives came up with the idea of making cocktails on the go. The company packages the alcoholic drinks in a flexible juice pouch they call ''Cordina Mar-GO-Rita" that is resealable and comes with a built in straw. They sell several varieties of frozen portable drinks, like a Mar-GO-Rita and a Strawberry Daiq-GO-ri. The goal behind their all-natural drinks was to reduce ecological problems found in many beverages sold today. Why it's cool: Green Coast Enterprises develops sustainably built properties in coastal areas threatened by climate change. The company's developments all have a positive impact on people who live in the region, are environmentally friendly, and are built to be profitable. The founders say that they "hope to reshape the approach to development along the Gulf Coast and to develop lessons that can be exported around the world." Why it's cool: Each week Hollygrove delivers locally grown vegetables to customers across the city. Its goal is to give New Orleans residents access to fresh, local produce through its home delivery service, its weekly produce market, and its community garden space. Why it's cool: iSeatz allows businesses looking to book a flight or make a hotel or dinner reservation do it all in one step. Instead of logging on to several different websites to plan your company's business trip, iSeatz offers package deals. It began as a platform to make reservations at restaurants, but iSeatz found that its technology could be useful in other industries as well. Now its clients include airlines, hotels, and banks. Why it's cool: Jeriko House uses modern sustainable technology in its constructions, ensuring that it is an environmentally conscious and socially responsible company. The firm constructs compact houses that can be customized by buyers. All of the homes they build are pre-fabricated modular-component housing. Why it's cool: This bar opened in 1797 and is considered a historical landmark. When Nicholas Girod, then-mayor of New Orleans, was one of the building's first occupants, he offered Napoleon Bonaparte refugee in the house when he was exiled. The bar has managed to not only stay alive but thrive until this day. Why it's cool: When small and mid-sized businesses are owed money but need immediate cash, the New Orleans Exchange allows them to auction off their accounts receivables to the highest bidder. This gives them immediate cash, and the winning bidder will collect the receivables, likely at a profit. Why it's cool: The New Orleans BioInnovation Center focuses on building, growing, and expanding businesses that are developing bio-technologies. It invests in all sorts of companies, from early stage startups to mature companies looking to expand. Why it's cool: By installing solar panels in people's homes, South Coast Solar not only promotes sustainable energy but also helps consumers save money. This New Orleans company has spread solar power across the nation and has even taken their business to Sierra Leone in West Africa. Why it's cool: Trumpet helps revitalize small businesses and community organizations through branding. CITY, one of its major projects, was founded to inspire grass roots organizations to speak up and take leadership roles in their communities after Hurricane Katrina. The company also made the Inc. 500 for fastest growing private companies. Why it's cool: This digital media company has the largest library of 3D products for sale in the world. Its products are sold to the entertainment and gaming industry, as well as architecture firms. Turbo Squid created a new and innovative way to sell 3D models by offering them to other companies in exchange for a percentage of the profits. It has also created a platform where digital artists can showcase and profit from its work.